Who isn't getting into the holiday spirit these days ... well, many of the games are adding in game features. 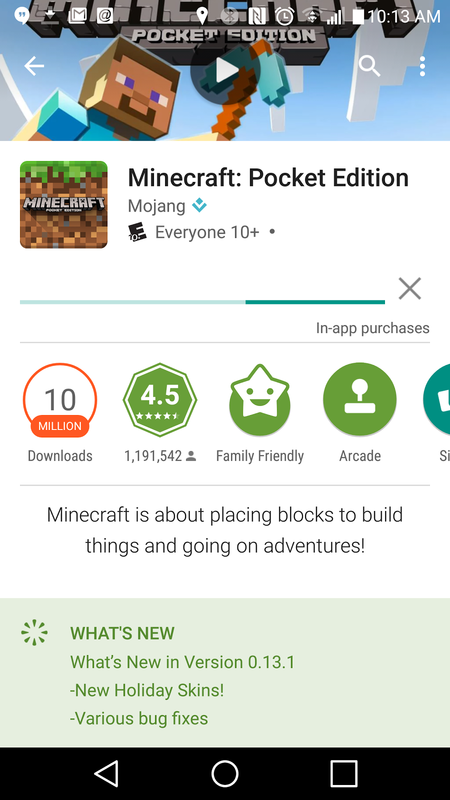 I know Terraria has for at least last season too, allowed you to collect gifts which contain holiday themed items (trees, candy cane blocks, etc..). 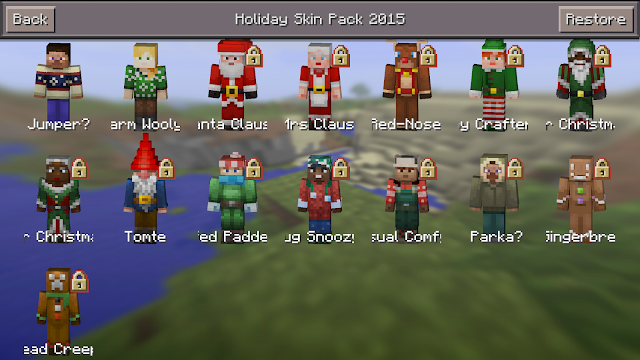 This year Minecraft, with their recent update to allow for skins, has included a 'holiday' skin for your character. Really, it's just a couple in an 'ugly sweater' (as I think we're legally supposed to call them nowadays), and the other 13 cost $2.37 to purchase. Personally, I'm a little 'ba-humbug' to purchasing anything extra during the season... but I'm sure my son is going to want that Gingerbread Creeper.